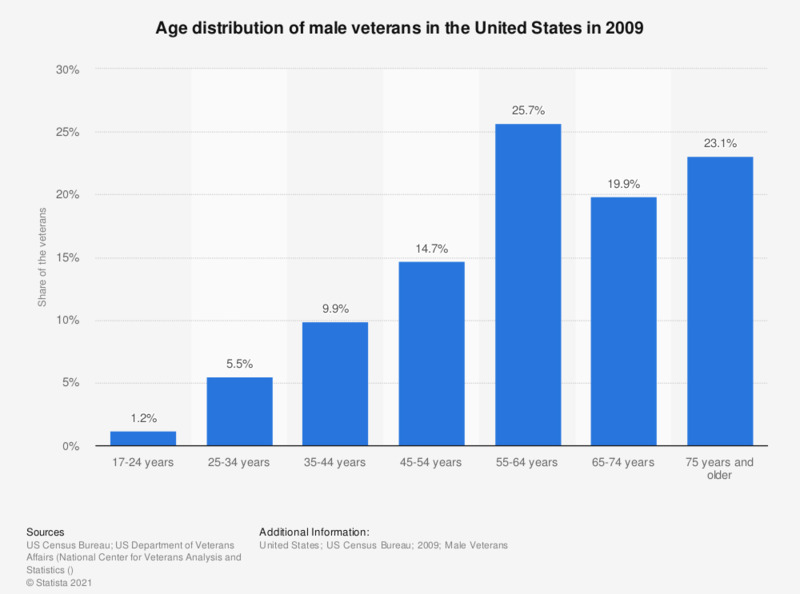 This graph displays the age distributions of male veterans. In 2009, 1.2 percent of the male veterans were between 17 and 24 years old. Statistics on "Veterans in the United States"